Our student ambassadors are outstanding representatives of our community. Please contact them with your questions about Delaware Law. 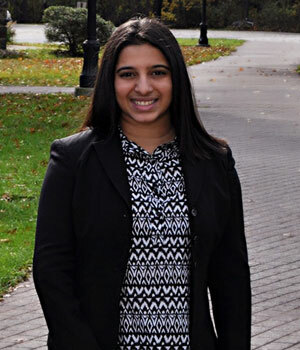 A member of the American Bar Association and Chester County Bar Association, Rucha also serves as the Networking Chair for Phi Alpha Delta International Law Fraternity. She has worked full time as a legal assistant at a law firm that focused on real estate law and civil litigation over the past two years and also interned for a municipal prosecutor during that time. What does Rucha like most about Delaware Law? Connie participates in Youth Court and regularly volunteers to help out with Wills For Heroes events. In the past she has engaged in a number of volunteer activities including Adopt-A-Block community events to hosting events that raised funds for Cystic Fibrosis research. She previously interned at the Republican Committee of Chester County while an undergraduate and acted as a Fellow Leader for the College of Business and Public Affairs Women Leaders Fellowship. What does Connie like most about Delaware Law? Claudia will be participating in Youth Court during her time at Delaware Law. 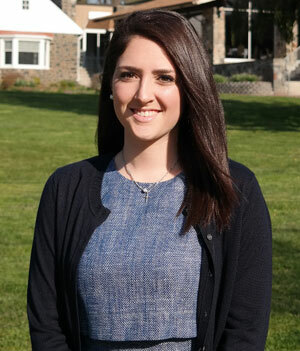 While and undergraduate at Penn State she was heavily involved in the Penn State Dance Marathon each year. The year long effort culminated into a 46 hour no sitting, no sleeping dance marathon to raise money for Pediatric Cancer for the Four Diamonds Fund in Hershey Pennsylvania. 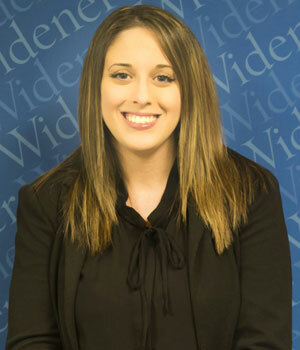 What does Claudia like most about Delaware Law? 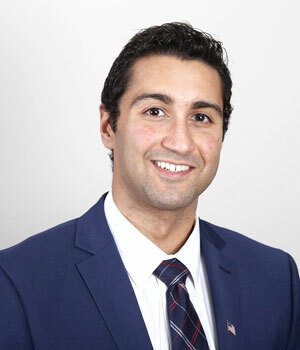 Alberto is active in the Alternative Dispute Resolution Society and with the Student Bar Association and Phi Alpha Delta. He also volunteers with the Beau Biden Foundation and the Delaware Wills for Heroes program. He will spend the summer after his first year as a law clerk with the Delaware River Port Authority Office of the General Counsel. What does Alberto like most about Delaware Law? 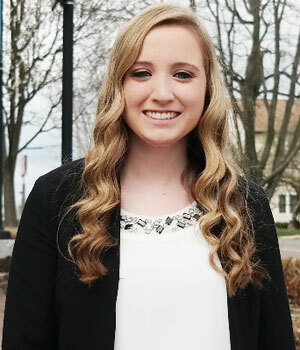 Brooke spent a summer interning at the Law Firm of Richard Piscatore in Vineland, NJ and has engaged with a number of other interesting positions including as a cheerleading coach, a pre-school aide, and serving for several years as a Lieutenant for the Police Explorers Program Post 117. What does Brooke like most about Delaware Law? "I love the community feel and environment. When I first came to law school, I really didn't know if this was the type of environment to foster any type of friendship or relationships, I was immediately proven wrong and have developed friendships with my peers that will last a lifetime in both the legal profession and real world." 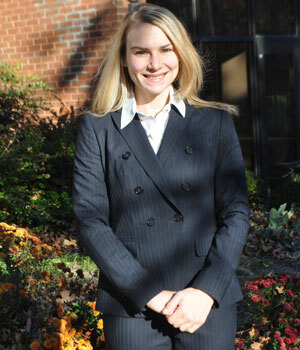 Hannah is an active member of the Moot Court Honor Society, serving as bailiff. She is an active participant in Wills for Heroes, aMartin Luther King Semester of Services Project on Teaching Desegregation, and the Medical/Legal Partnership Program. She has served internships with the Baltimore City District Court State attorney's office and Baltimore City's Juvenile Justice Center's Victim/Witness Services office of the State's Attorney. What does Hannah like most about Delaware Law? Raquel is interested in all of the myriad facets of the law and is particularly interested in participating in Alternative Dispute Resolution. What does Raquel like most about Delaware Law? Kathryn is the 2017-2018 American Bar Association/Law Student Division Rep. of the SBA Executive Board, and she will be an intern in the fall of her 2L year for the Delaware Department of Justice - Criminal Division. She spent the summer after her first year as a law clerk for the Delaware Department of Justice - Attorney General's Office. 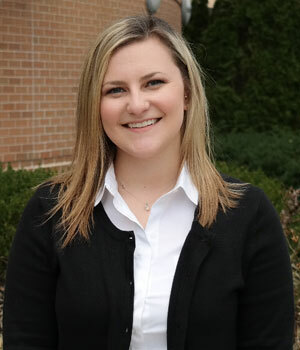 She volunteered for the Wills for Heroes program in the fall semester of her first year, and competed with the Moe Levine Trial Advocacy Team in the spring semester. 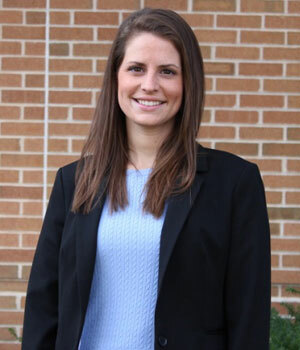 She served as the 1L Section Representative Officer for the Delaware Law Student Bar Association and is an active law student member of the Pennsylvania Bar Association and the American Bar Association. What does Kathryn like most about Delaware Law? "There is a phenomenal balance among Delaware Law students of unity and competition, that allows us to perform to our maximum potential on a daily basis. Additionally, the accessibility and willingness of the faculty to help students grow ensures that we receive a valuable legal education that is preparing us for successful careers in the legal community." If you are a current Delaware Law student interested in participating in this program, please visit student ambassador registration.